Hey Guys. How are y'all doing ? I believe the first weeks of the year has been pretty productive for you all. Mine has been somewhat slow, but i believe the creative pace would pick up eventually. I promised in my previous post that I was going to share style ideas I'd incorporate this year. Like a tradition I had developed since I started blogging, I always love to share a little bit of ideas that I'd love to incorporate in my style for the new year. As you all know by now, Denim is one of my favorite fabric ( I hope I don't sound like a broken record with this denim matter... lol). You can see from my previous posts on how i styled my denim in different ways. I'm still on the lookout for denim dungarees, so if you know where i can get one, buzz a brother. This year too, I'd love to incorporate prints and colour to my style; making much reference to Ankara as well as other indigenous fabrics. I always like my style to be simple, one-coloured pieces, but this year, I'd make an attempt at adding a little bit of prints. Never underestimate the value of accessories. 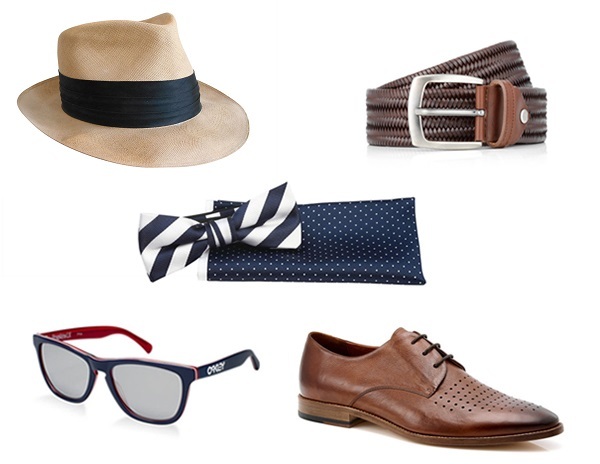 I normally keep my accessories pretty simple; a watch and a bracelet, ties, sunglasses, etc. But this year hopefully, I'd love to up my accessory game- talking of knotted bow ties, suspenders, hats, etc. As time would come, I'd love to incorporate more ideas and creativity to my style, ranging from androgynous style to inspiration from different cultures and outfits all over the world, from France, to Japanese pop culture. These are just a little bit of ideas and style that I'd sure love to incorporate this year. Do share with me your style ideas and incorporation for the year.